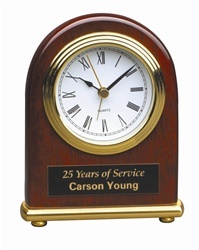 3 1/2" x 5 x 1 1/2", Rosewood Dome Alarm Clock with Engraved Plate. Price includes engraving. The engraved plate is gold with black engraving. 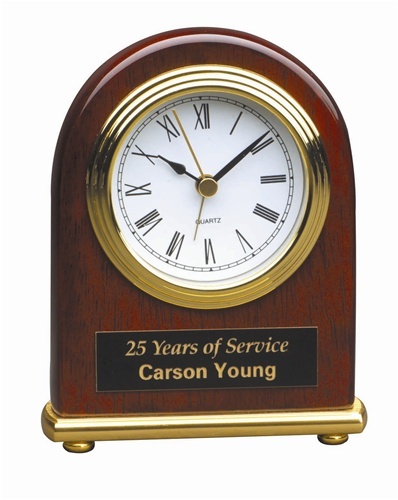 We will email you a layout of the engraving for approval before proceeding.